The Witcher is a role playing game set in a dark fantasy world. 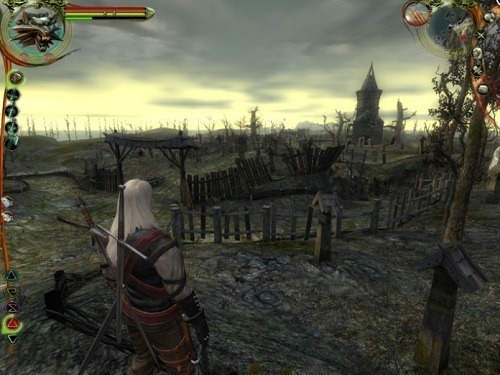 The game is based on the book series of Polish author Anrzej Sapkowski and features a world filled with grey moral choices. Players taken on the role of Geralt who belongs to the dying breed of Witchers that possess special powers. These witchers act as mercenaries for hire and focus their attention on hunting down evil and dark monsters. Combat in The Witcher definitely has a focus on fast pace and flowing actions with combat being broken down into three simple styles. Players can go for swift attacks, slow attacks or sweeping attacks for groups. With careful timing players can make use of combos to increase their effectiveness when fighting enemies. 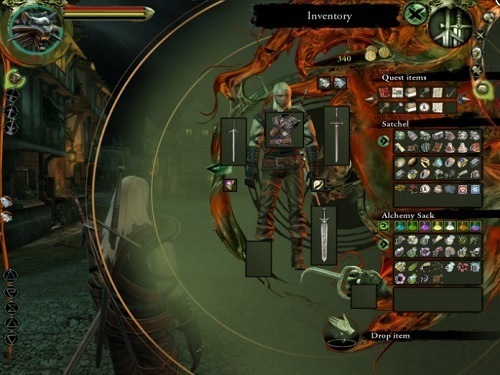 Outside of fighting alchemy and skills round out the core gameplay experience in The Witcher with alchemy in particular playing an important role in your progression. Creating potions is a surprisingly fun experience as you mix and match ingredients while praying not to poison yourself. Alchemy isn’t all experimentation though, as there are plenty of recipes spread across the game world which teach you how to make some unique potion effects. The moral choices are what will really have you intrigued though, The Witcher does a great job at presenting scenarios that are neither good or bad in most cases. You will constantly find that both your decisions are part of a grey area. The game is also designed in such a way that most consequences of your decisions don’t manifest themselves into much later in the game giving you plenty of “I can’t believe I did that” moments. One of the few games to draw inspiration from a book series. Unique focus on alchemy that could lead to you poisoning yourself. Flowing combat with three simple styles to switch between. Moral choices that distort what is good or evil. Time delayed consequences to most decisions that you make.